Pee-wee Herman returns on Netflix in March. Get out your red bow tie. Put on your gray suit. Loosen your grip on reality. 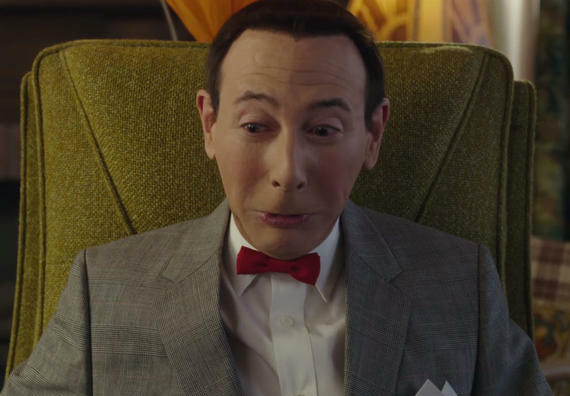 Pee-wee Herman is coming back in a special Netflix film. The original Netflix announcement left everything to the imagination, but the teaser does manage to fill in some of the blanks. For starters, Paul Reubens appears to have barely aged since the surreal ’80s children’s television series “Pee-wee’s Playhouse” aired. The short teaser clocks in at just 39 seconds, including the Netflix branding, but Pee-wee Herman fans will find plenty of delight in that short time frame. It kicks off with an outside shot of Pee-wee’s quaint house, complete with a matching dog house and black-and-white dog. We don’t have much to go on plot-wise based on the teaser, but it does hint at a very classic Pee-wee Herman world full of retro props, bright colors and a effervescent sense of goofiness. Fans should be plenty excited after seeing this.